Pioneers in the development of polymer quenchants back in the 1960’s, Tenaxol, part of the Chemtool family of companies in Rockton, Illinois, will demonstrate its comprehensive line of UCON® brand polymer quenchants at this year’sFurnaces North America show, being held October 6-8 in Nashville, Tennessee. Tenaxol will be located in Booths 300-302 at the show. Polymer quenchants were developed by Ross Blackwood, the founder of Tenaxol, in the early 1960’s and the first UCON® products were patented in 1965 as a safe alternative to oil quenching, owing to their unique polyalkylene glycol chemistry plus corrosion inhibitors. The products also yield superior surface integrity on all ferrous and non-ferrous metals, when compared to water quenching, especially in the areas of thermal cracking and distortion. UCON® brand polymer quenchants have become the industry standard over the years and the full range of products today includes UCON® ULTRAQUENCH PLUS, featuring advanced anti-microbial protection and enhanced foam control, plus a non-nitrite corrosion inhibitor for improved surface protection. Additionally, UCON® ULTRAQUENCH RL PLUS is an ideal solution for quenching medium high-carbon steels and most alloyed grades, including 300 and 400 Series stainless. Chemtool is a global leader in the formulation and supply of various lubricants, cleaning agents, cutting fluids for metalworking machinery and other solutions for a wide variety of industrial applications. The company is also a major private label supplier to the distribution channels at many of the giants in the off-highway and other machinery markets. During the show, Tenaxol personnel will be available to discuss all quenchant applications and metallurgical quench conditions. Tenaxol has factory sales based in the Rockton, Illinois headquarters, near Chicago, plus manufacturers’ representative offices in strategically located cities throughout North America. Milwaukee, Wisconsin – Complete Heat Treating, LLC today announces the completion of its acquisition of all assets and equipment of the former Wisconsin Steel Industries, Inc. Complete co-owners Jake and TJ Dolhun made the announcement from the company headquarters here. By this acquisition, Complete becomes a formidable player in the commercial heat treating market in the Midwest, as the combined companies boast 75 years of service to the metalworking industry, with substantial heat treating and related capabilities. The purchase of Wisconsin Steel was made by Complete in 2011, with the relocation of all equipment and key personnel having now concluded. All equipment from both companies has been consolidated at the 65,000 square foot Complete facility in Milwaukee, where the highlight is a gas-fired car bottom furnace with a 53’ x 22’ x 14’ workspace, powered by 40,000,000 BTU’s with a 1,000,000-pound load capacity and operating temperatures to 2150ºF max. The equipment and services now offered here include five car bottom furnaces, five box furnaces, heavy-duty polymer and water quench tanks, stress relieving, sand blasting, prime and finish painting, annealing, normalizing, BHN inspection, straightening, saw cutting of test specimens, tractor/trailer fleet and full compliance with ISO 9001 certification standards. Workpieces to 50 tons are routinely processed here, using existing and new crane equipment recently installed. Customers for this commercial heat treater include many of the Midwest’s leading builders of farm equipment, mining equipment, materials handling equipment, rail systems, construction equipment, power generation, oil/gas and other machinery. Wisconsin Steel was established in 1939 by Ted Dolhun, Sr., grandfather to the current owners of Complete. 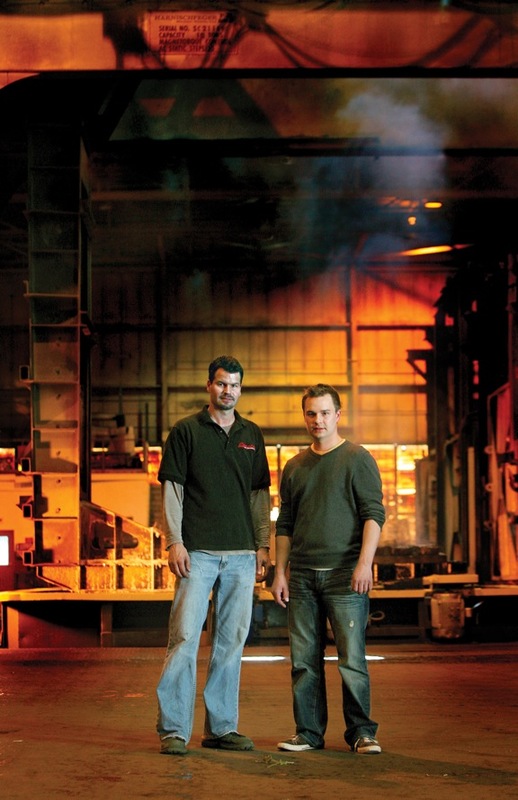 Brothers TJ (left) and Jacob Dohlun operate Complete Heat Treating, companion company to Wisconsin Steel Industries, both in the Milwaukee area. Complete operates open fire furnaces and quench tanks to process large steel castings and forgings, as well as metal fabrications and some aluminum parts. TJ and Jacob Dohlun are not easily impressed. Despite their relatively young ages, 40 and 32 respectively, they have both worked in the family’s dual heat treating businesses in the Milwaukee area, as far back as they can remember. Their grandfather, Theodore Dohlun, started Wisconsin Steel Industries in 1939 and the family has had involvement in heat treating for three generations. Their dad Ted continued the tradition until his recent retirement and both of the “boys” have been active a long time. They began Complete Heat Treating in 2007 as a separate entity and run it with their mother, Chris Dohlun. Both Wisconsin Steel and Complete Heat Treating run commercial heat treating operations, serving regional manufacturers in the mining, construction, wind energy, rail, government contract, medical, off-road and agricultural equipment industries. They also serve companies as far away as Brazil, however. 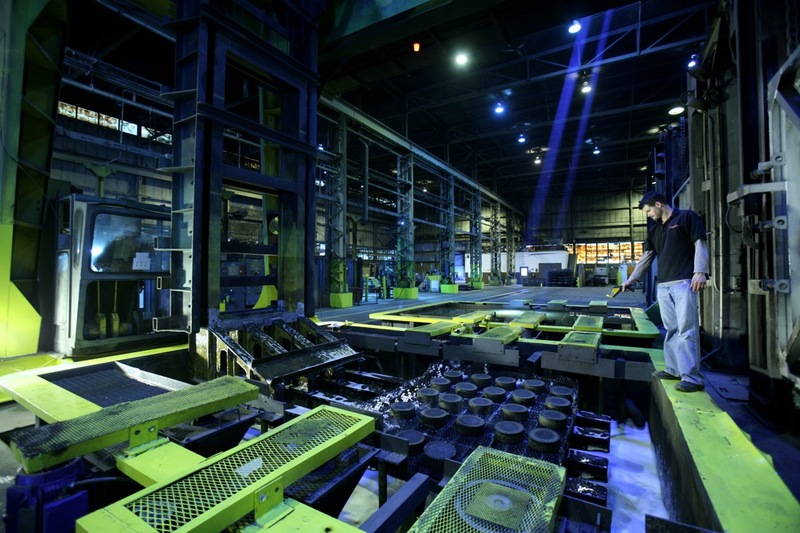 Combined, they employ approximately 50 people at the two facilities, processing materials such as 4140 and 4340 steel in the forms of castings and forgings up to 100,000 pounds, as well as fabrications and some aluminum parts. Never ones to rest on their laurels, however, TJ and Jake have been making significant improvements in their operations, especially on the technology side. They use a proprietary software system to operate their furnaces, they’ve incorporated a number of green initiatives into the business operation and, about a year ago, switched their polymer quenchant supplier to the originator of that chemistry, Tenaxol (Elkhorn, Wisconsin). 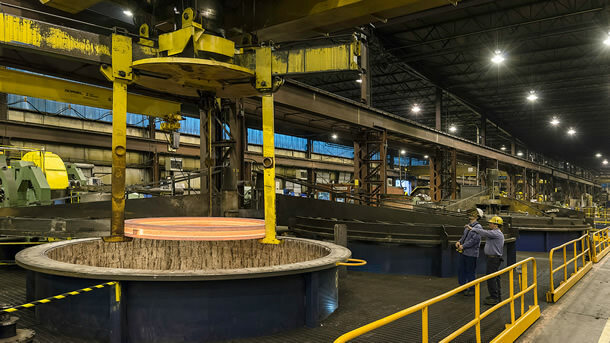 At Wisconsin Steel and Complete Heat Treating, they run a total of 13 open fire car bottom and feed furnaces with capacities up to 1,000,000 pounds and workspaces up to 52’ long x 20’ wide x 16’ high. Quench tanks at the facilities range up to 40,000 gallons. Typically, hardness and mechanical specs are supplied by the customers and the metallurgists and chemists in the labs at these facilities work to determine the optimum processing conditions. Wisconsin Steel is rated to the GE Nuclear standards, while Complete Heat Treating received its ISO 9001:2008 certification just recently. Many value-adding secondary services are supplied here, including machining, straightening, roto-blasting and saw cutting, as well as metalcoating. Previous polymer quenchants were causing excessive foaming and were inconsistent in holding concentrations. Both problems were overcome with Tenaxol polymer quenchants, according to the brothers. Jacob adds, “We had been talking to Tenaxol about their anti-foaming products and, despite some cost differences with our then-current supplier, we agreed to testing. Although we were not a customer, the Tenaxol team really went the extra mile to give us the best results their lab could suggest.” As a result, Tenaxol Quench 2500 Ultra polymer quenchant with a non-nitrite corrosion inhibitor, defoamer and biocide was purchased from this new supplier and the results have been outstanding, according to the Dohlun brothers. “We no longer have consistency issues, the percentages stay in line, plus we can vary the temperatures in the tanks without compromising performance. That opens more opportunities for new business and it’s been working very well.” Complete Heat Treating is currently on a record sales pace, with more customers and much faster throughput, boasting a 25% increase in sales and working capacity today. On that spun metal part, for example, TJ notes, “We went from two weeks with a lot of rework to two days on a typical batch.” Jacob adds, “The savings in staged deliveries alone run to thousands of dollars, each time.”Complete is now able to process a wider range of materials, as a result of using Tenaxol quenchants, according to the brothers, who credit Jim Harrison, CEO at Tenaxol, and his team of chemists and metallurgists with much of the significant improvement in their processing scenario. TJ Dohlun takes a temperature measurement on a batch of steel parts in quenching. “This anti-foaming agent in the Tenaxol product has literally changed our shop,” TJ concludes. Jacob also cited the supplier’s customer service. “We get help from their lab on a regular basis, including water testing and support documentation, which is necessary for the PPAP requirements of several customers.” He adds, “Jim (Harrison) and his team did a lot of testing for us, before making their final recommendations and they continue to help us fine tune our operation.” He further noted Tenaxol’s involvement with MTI was important. “This supplier supports our industry and that meant a lot to us.” The supplier also provided a solution to problems Complete was experiencing in their cooling tower water by conducting lab testing, automated equipment and cost-effective chemical treatments, according to Dohlun. As a result of this initial relationship with Tenaxol, Complete Heat Treating has expanded its purchases of products to include various greases and lubricants from this vendor, which is part of the Chemtool family of companies, a wide-ranging industry supplier of myriad lubricant, cleaning and metalcutting fluid products. 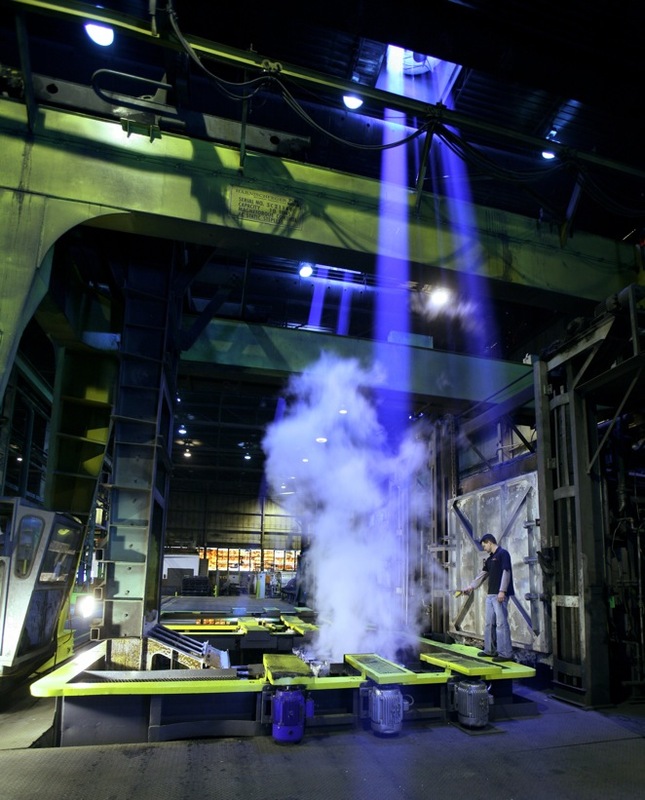 To see a video of heat quenching at Complete Heat Treat, click HERE.